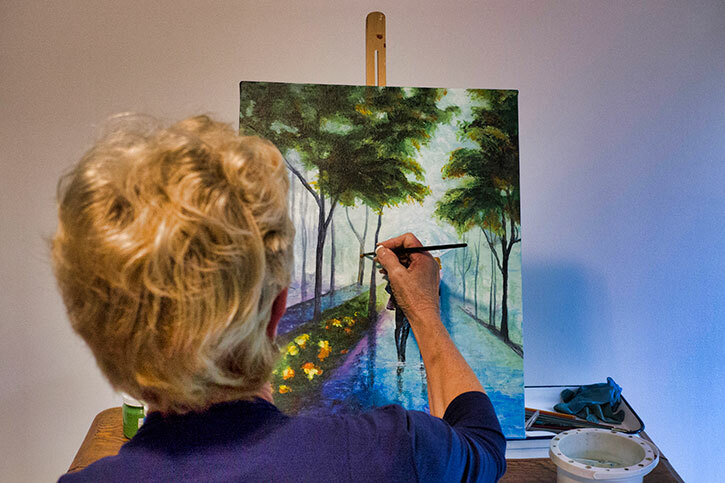 When Tena Smits paints, she loses herself in it. She is not afraid to tackle any project and simply immerses herself in a world of colour, light and textures. The long time Grafton resident moved from Cobourg with her husband Toby 15 years ago and they wouldn’t have it any other way. It was a happy accident when Tena discovered her passion for painting. A friend invited her to an art class and things progressed from there. She was very eager to learn and picked up the techniques very quickly. “I think you have a little of that within you. It’s a gift that God has given and once you realize you have a gift you can help others appreciate it as well. Painting is very therapeutic. I totally get lost when I’m painting,” Tena says. 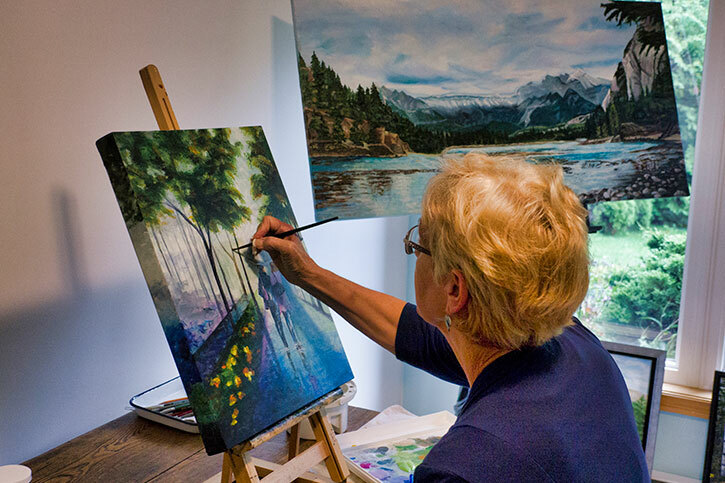 Tena has worked with acrylics for many years but for the last few months she has been experimenting with oil as well. 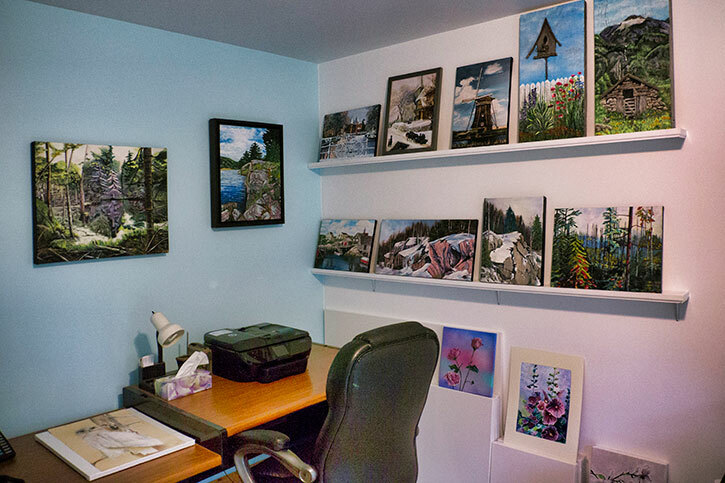 When she is ready to begin a new piece, Tena will take three or four different photos of something that catches her eye and work from that. 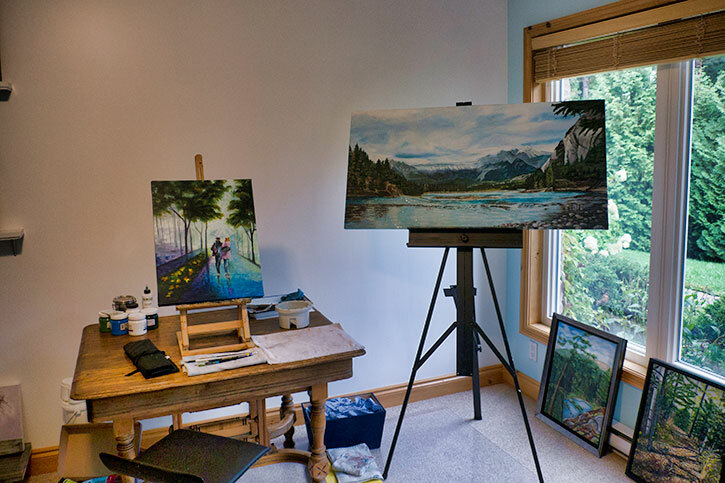 “Some, like myself, can really appreciate the ability to create and maintain proper scaling and sizing throughout a painting simply by looking at a photograph and scaling it up,” her husband Toby says. 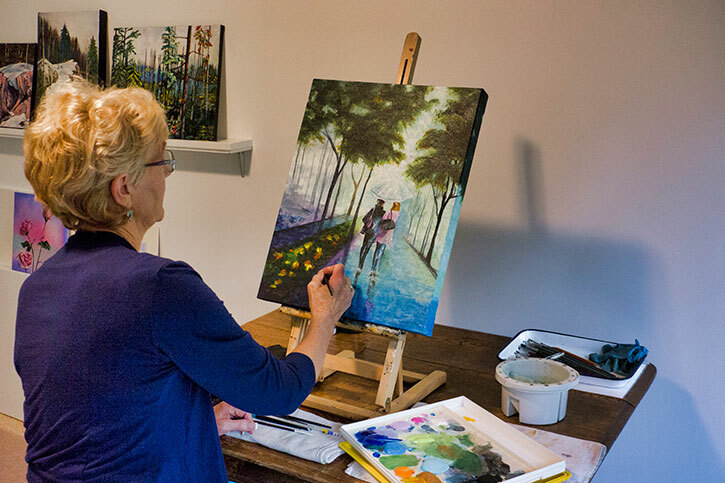 She and Toby own a nice property and the local wildlife, landscape view and various florals inspire Tena to create her masterpieces. Everything is interconnected and the beauty it creates helps her to capture them on canvas. 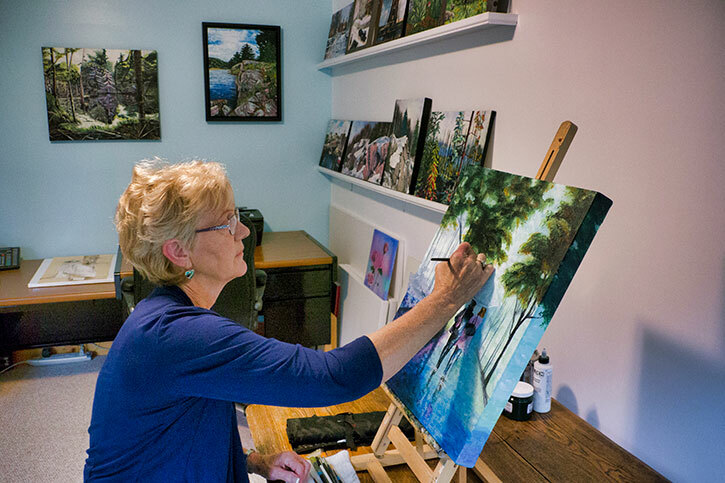 Tena recalls one of her most memorable pieces, which is a painting she created of Peggy’s Cove in Nova Scotia. It featured a number of houses, boats and water and the results were fantastic, she remembers. While some people would appreciate the sense of realism she creates, how she uses the influence of light and shading, the one thing Tena wants people to see is beauty. “I want my work to show the beauty and the awesomeness that God has created for the world we live in. It’s amazing to see that other people love it as well,” Tena says. Toby, who worked as an engineer, has experience working with drawings and designs so Tena will often ask his opinion throughout various stages of each piece. “It is really good to help her achieve when she has given so much for me and her grown children and grandchildren for most of her life. We have really been blessed and are thankful,” he says. She and Toby have been retired for five years and love the time they can spend together. They have a large family that includes four children and seven grandchildren who enjoy coming over and participating in many activities with them. “The children love it. We go camping and we also play lots of sports such as soccer, table tennis and badminton. It can be busy but it’s exciting and we always have a great time,” she says. What does she suggest for other aspiring artists? Breathe. Just breathe. Whatever type of artistry you are pursuing, keep going. It should be a relaxing activity and any creation you make is beautiful, she says. If you would like to see Tena’s work in person, she has an exhibition at Northumberland Hills Hospital until November 28, 2018 and she has a painting that is placed near the entrance of the Nawautin Sanctuary, which is close to their home.